EL SISTEMA DE AUTOGAS PUEDE PARECER, A LOS INEXPERTOS, UNA MODIFICACIÓN EXCEPCIONAL Y COMPLICADA: NADA DE ESTO! 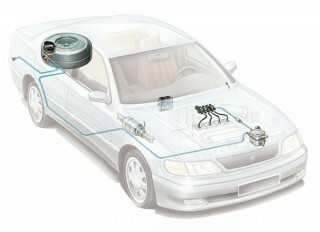 PODRAS CONSEGUIR TODAS LAS VENTAJAS LISTADAS MEDIANTE UNA SENCILLA ADAPTACIÓN EN EL MOTOR DEL VEHICULO. (VER IMAGEN). SE VA A INSTALAR UN TANQUE ADICIONAL EN EL MALETERO DEL COCHE: USUALMENTE EN EL VANO DE LA RUEDA DE REPUESTO, ASĺ QUE NO VAS A PERDER NI UN CENTIMETRO DE CAPACIDAD DE CARGA.